Favorite Horse’s Name: I can’t play favorites someone will seek revenge! When did you start riding? Age 11. I was horse crazy from day one. My mother said I would get excited as a baby when I saw a cowboy on a horse on TV. I once saw a film clip of dressage when I was a kid and decided that was what I wanted to do. When we moved to the San Fernando Valley in 1962 I rode my bike to every barn within bicycling distance and asked if anyone taught dressage. It was pretty rare back then but one place had a woman from England who had ridden with Robert Hall. She gave me lunge line lessons on her 4 year old mare, Sioux. It went from there. She went back to England so for a few years I rode hunters, jumpers, saddlebreds; learned to drive Arabs and did anything I could to ride a horse. I “catch rode” at shows. I could not afford my own horse so I did whatever it took. In my late teens I rode with Jane Jackson, Cilly Feindt, and cliniced with Franz Rochovansky who was a good friend of Cilly’s, on her Lippizaner stallion, Maestoso. In my 20’s I cliniced with Charles DeKunfy and anyone else I could find. I have to chuckle because once in 1973 I won a dressage class competing against 3 people who became professionals, including Hilda Gurney. I still have the newspaper clipping. It’s always good for a laugh. I also competed in Eventing up until I was in my early 30’s. I rode one of my horses successfully in Dressage, Eventing, as well as the Hunter ring. I was the first junior member of CDS. I showed up to 3rd level by the early 1990’s and did respectably. I won some classes and scored reasonably well most of the time. I haven’t shown since around 1996. 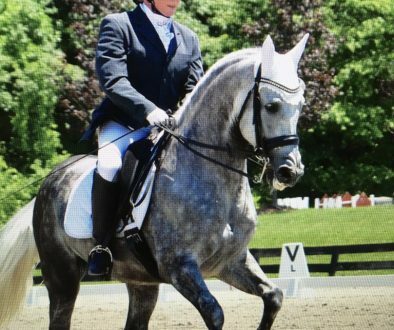 I had a pretty bad accident in 1999 and then another even worse really freakish one in 2014 which both set me back a bit, but am hoping to get back into the show ring with Tiadoro and Finney this year. What have been your aha moments in training? There are so many! One of my most important was after the accidents when for the first time in my life I had some fear. I realized that to get back on and ride decently you must make a decision: is the fear going to run the show or are you! I had quite a bit of fear after the last accident but I was determined to beat it. My plan was to get on, get over it, and then decide if I was going to quit riding or not. Well, I’m still riding and I plan to show again sometime this year! Also, I always loved riding difficult or “challenging” horses. Now I want nothing to do with bad actors, or really tough horses. My new motto is: “Life if too short to ride bad horses.” Also I never “duke it out” with horses like I was willing to do when I was younger. If they do something I don’t like, I make them do something (safe) they don’t like. . . such as tiny tight circles at the walk. I try to use my head, and my behavioral psychology training to figure out a better solution to a training problem. I also let other younger, professional riders ride through the tougher stuff. .sometimes my ego doesn’t like doing that but I really need to not break anything else or have another brain injury! Aging. . .sigh! 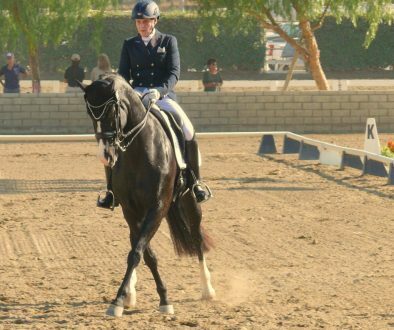 What is the most difficult thing about riding dressage? Accepting that there are good days with good rides and days where things don’t go so well. You can have the best plan in place and “stuff” happens. It really is the journey that matters every bit as much as the goals! Which trainer(s) have you worked who have made the most difference to you and your horse(s)? 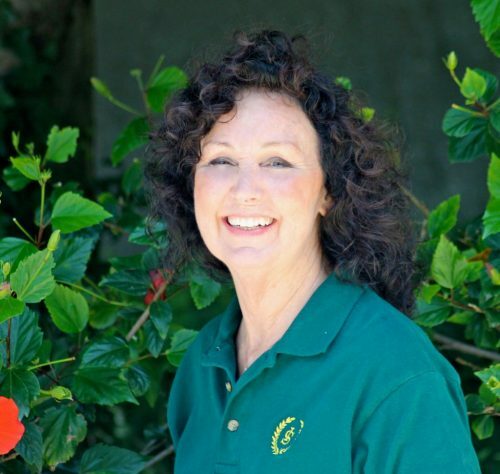 Cilly Feindt, Jane Jackson, Charles DeKunffy, Diana Muravez all taught me both horse lessons and life lessons. Cilly and Jane both took me under their wings when I was young. They had faith in me and I had more encouragement from these two women than I ever even got from my parents. They were both extremely strong, independent woman. . . great role models in general! Diana taught me lots of “stuff” about how to not just ride, but how to make almost any movement or ride better. We are still close friends. 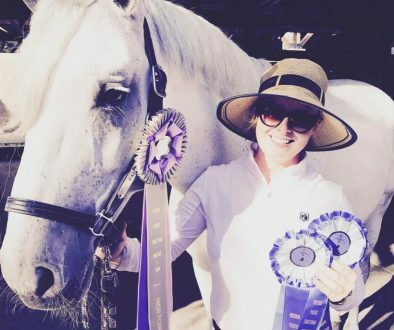 I am currently working with a younger trainer, Bridget Braden, who has been extremely helpful and supportive in getting through the fear after the last accident. Yes. . .a Yellow Lab named Churchill and a 17 y.o. black cat named Andy. I’d have more but I work too much! What are your other interests outside of horses? There isn’t much time for other things but I love music of all kinds. I play Classical and Hawaiian Slack Key guitar, own a violin (I played viola for years), a keyboard. What’s funny is Andy and Churchill love to sit at my feet when I play guitar but they leave the room when I pick up the violin! I also love art work and come from a family with many professional artists who made a living at it. I didn’t have quite enough talent in either music or art so I became a psychologist! Don’t let anything stop you from pursuing what you love! For every obstacle there really are multiple ways to get around them. Sometimes you will need to get creative. Never start your goal setting by thinking about all the reasons why “you can’t”. Write down your dreams and figure out how you can!